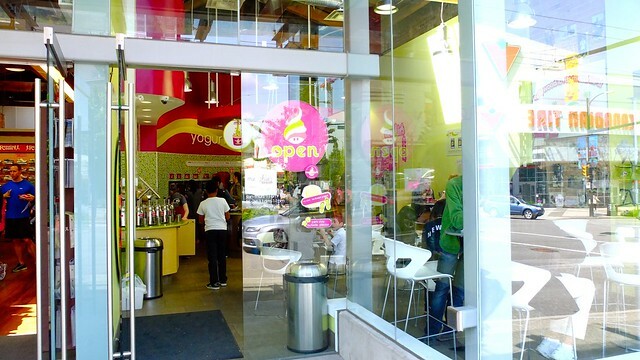 Menchie's self-serve frozen yogurt on Cambie Street on May 6, 2012. 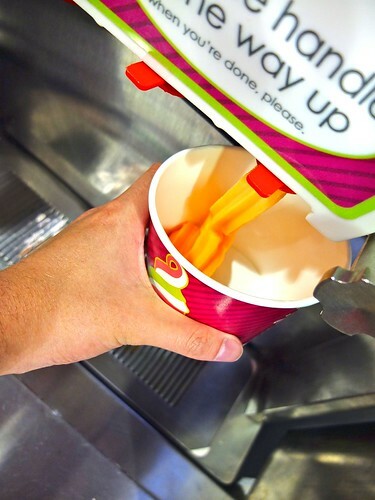 I finally got around to trying the fairly new self-serve Menchie's frozen yogurt shop on Cambie. It's great. 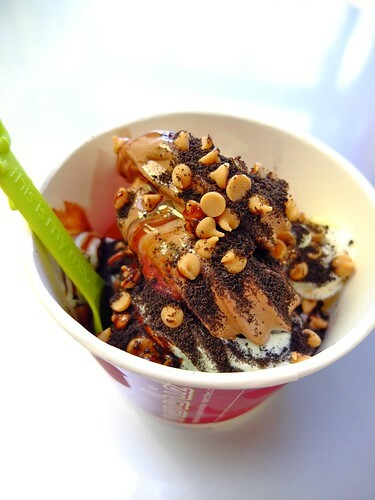 You get to choose all your own flavours, toppings, and sauces. I recommend the mango sorbet, Irish mint, red velvet, and of course original flavours. 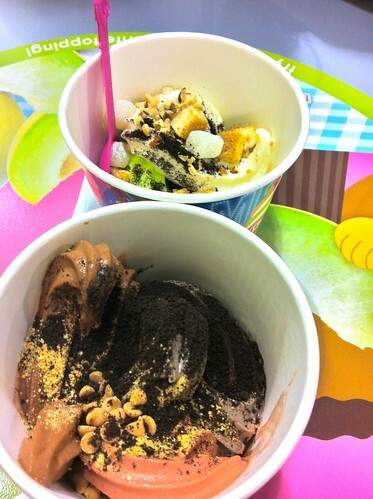 Try to stick with either sweets or fruits and not mix and match too, too much. Otherwise, you'll get a weird mishmash of savoury and sweet. But to each their own. 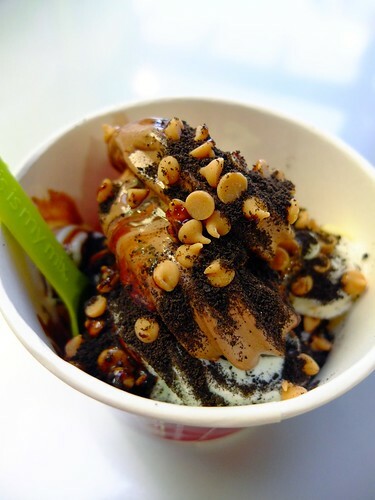 I love the crushed cookies, peanut butter chips and sauce. 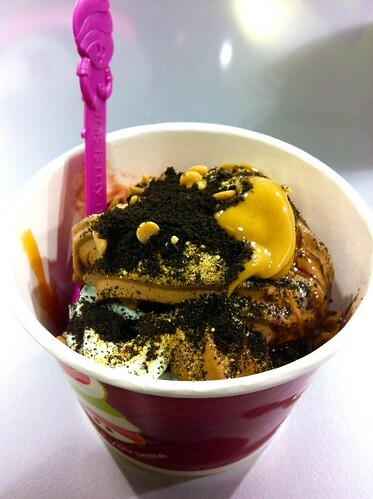 Menchie's has some absolutely delicious froyo with new, rotating flavours of all sorts. 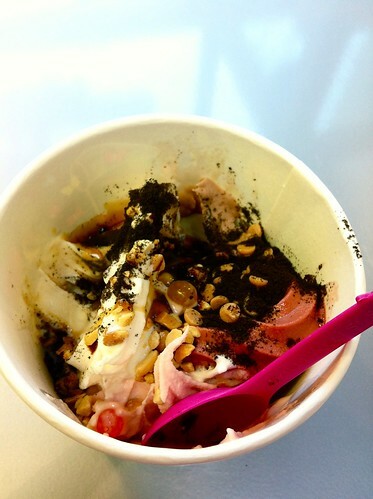 It's the perfect treat on a sunny day or after dinner.